This past week our team, Mi Familia Vota, got started on our project. 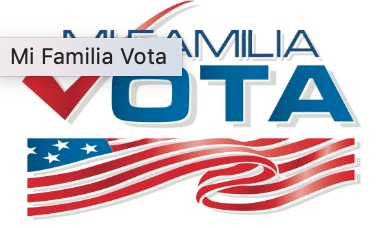 How Can We (HCW) create a Mi Familia Vota contact information form that engages students’ interests in civic engagement and incentivizes them to fill it out? We started thinking about and identifying the problem, it’s hard for Mi Familia Vota to get students’ contact information to stay in touch with them and remind them to vote. Their current pledge card system isn’t cutting it. Why? There are many reasons, including voter apathy and students not understanding why MFV is collecting their information. We hope to uncover more about the problem space as we continue, but for now, we know the problem is about MFV giving information to the students and then receiving contact information from the students. We realized we had a lot of assumptions about why students aren’t filling out this form, like that it’s too long and not engaging enough, and we’re excited to interview students and see their attitudes towards the pledge card.